Once you try one, you'll wonder how you ever managed without one. 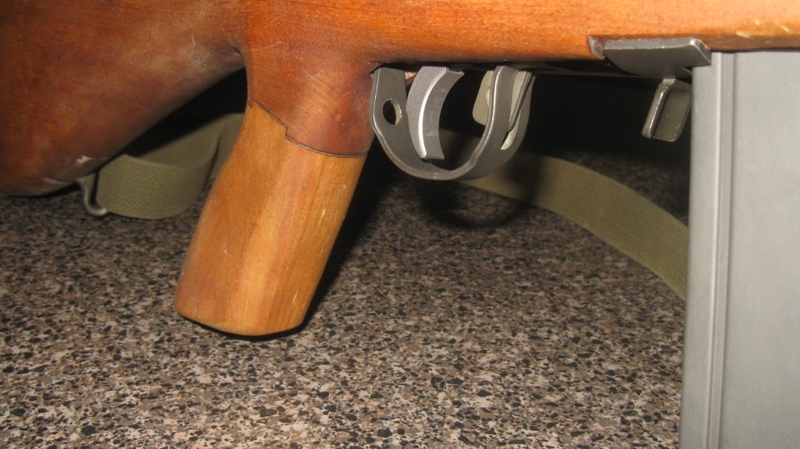 The M14/M1A trigger is designed to be pulled in more of an upward direction. 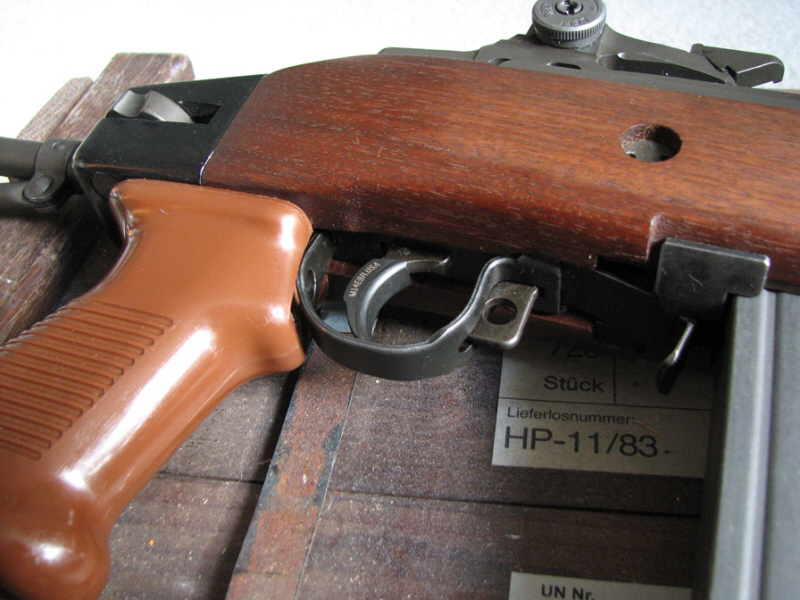 The original trigger design is not user friendly when a pistol grip is used. The M14 EBR trigger shoe is wider & longer, with more surface area. required to direct the trigger pull more to the back than up. The tip of the trigger can no longer stab the tip of your trigger finger. The trigger pull feels natural & lighter with the M14 EBR shoe installed. The M14 EBR trigger shoe was designed specifically for the pistol gripped SAGE EBR chassis. AG Composite, Blackfeather "RS", Archangel, Vltor, M14E2, the M1 Garand with a pistol grip, and more. 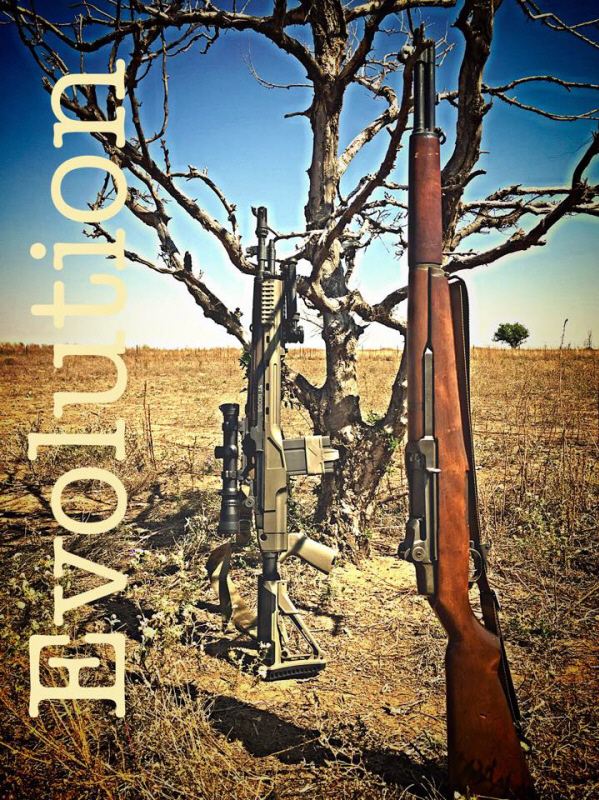 rifles with traditional stocks. Seek these men out on the boards... request a review with pictures. One M14 EBR trigger shoe, Three set screws, One .050 Allen wrench. Each M14 EBR trigger shoe has a hard Salt bath Nitride finish. Mike Peterson (TACOM-RI) met Tom Meyers (X-TremeShooting) at Camp Perry in 2010. Tom’s business is custom CNC machine work, the manufacture of precision triggers and receivers… “talk naturally turned to the issues we were having with pull angle on the SAGE EBR stocks equipped with pistol grips”. Mike: “I gave Tom an M14 trigger group to experiment with and see what he could come up with. He produced the prototypes in aluminum which worked well except they were a little too flexible for our needs… I got Dave Armstrong from NSWC Crane interested as he had been experimenting with commercial trigger shoes for the MK14 Mod 2 project”. Mike: “We at TACOM-RI were pretty much up to our ears in trying to complete the SAGE stocks, add accessories and complete the provisioning process to get repair parts into the system as well as finish up the production of the 6200 M14EBR-RIs, so the trigger shoe project kind of languished”. Mike and Dave told me (H2O) about Tom and the trigger shoe project when we met in Las Vegas, NV. 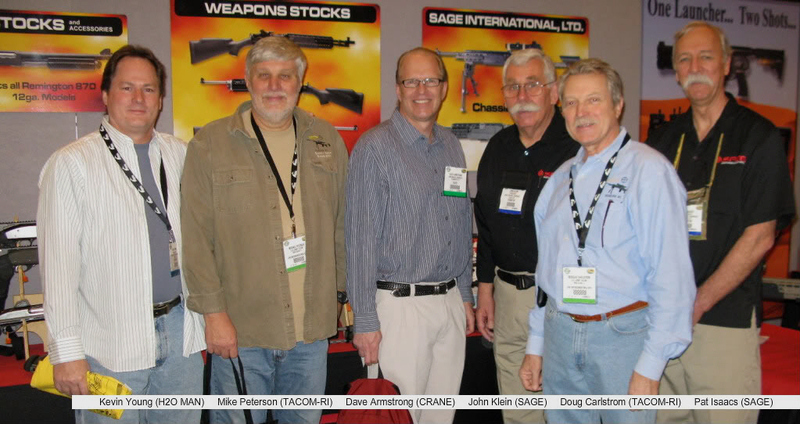 at SHOT SHOW 2011, they both suggested that I contact Tom – I did and the rest is history. The official back story on the M14 EBR trigger shoe. Mike Peterson (TACOM-RI) met Tom Meyers (XTSP) at Camp Perry in 2010.
with pull angle on the SAGE EBR stocks equipped with pistol grips”. with commercial trigger shoes for the MK14 Mod 2 project”. 6200 M14EBR-RIs, so the trigger shoe project kind of languished”. met in Las Vegas during SHOT SHOW 2011... both suggested that I contact Tom. Rifles and other accesories pictured are not included.